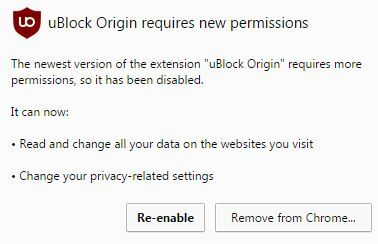 So you started up your (always awful) Monday with this Chrome warning and you’re panicking because your trusted extension uBlock which is supposed to protect you from evil (ads) is turning into the Devil himself. Read and CHANGE my data? Change my privacy settings? Hell no! To disable the “quick loading of web pages”.. wait what? yes, so no connections are opened to unwanted sites. So, this is for your own good.